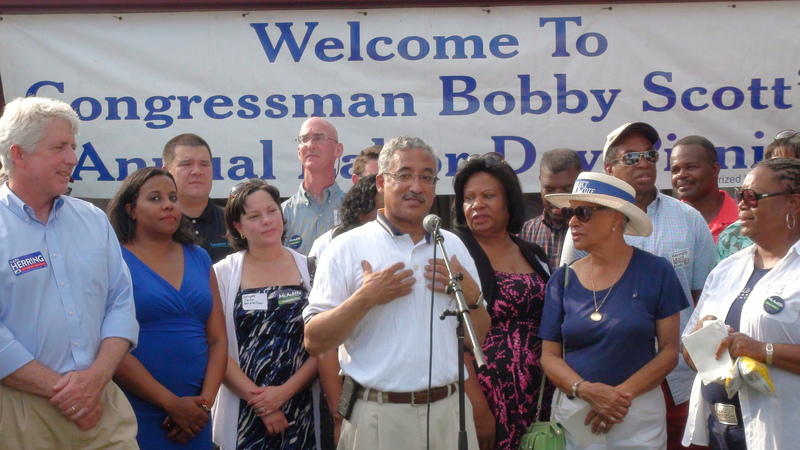 Rep. Bobby Scott held his 37th Annual Labor Day Picnic Monday. There were so many electeds, former electeds and candidates in attendance that even Scott, who introduced each one by name, had trouble tracking them all. It took him about 10 minutes to get through all of the names. After the intros, the three Democratic candidates for statewide office made brief speeches. The video of those remarks is below.